Bub's Inc. also serves industrial plants, such as food processing facilities, in the collection and removal of liquid waste. In association with an affiliated company, Oil Harvest LLC, this material is transported to a state-of-the-art re-processing facility where it is recycled and all usable yellow or brown grease is reclaimed. 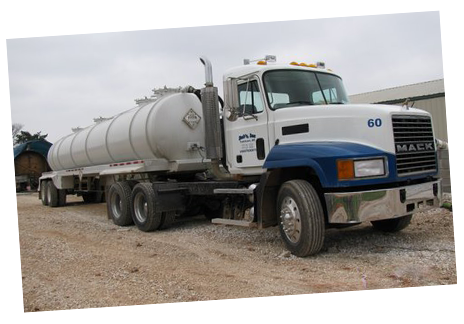 The Oil Harvest LLC facility uses a proprietary method for oil extraction enabling the organic material to be recovered while the remaining waste material separated and contained so it may be disposed of in an environmentally responsible fashion. "At both Bub's and Oil Harvest, we are dedicated to offering the highest quality professional services to our customers using only the latest equipment and technologies in an environmentally friendly manner." In April 2015, we sold this portion of our business to Brooks Grease Service out of Tulsa, OK.